Our justice system is in crisis. Ongoing state retrenchment has involved significant cuts to legal aid, the HMCTS budget and the publicly subsidised advice sector. The result is a growing justice gap, with legal advice and representation priced out of reach for most people. As a result, a greater number of people are being forced to navigate the system on their own, and are placed at an automatic disadvantage when faced with complex law, arcane procedures and the adversarial approach that characterises courts and some tribunals. Last year JUSTICE set up a Working Party drawn from its membership, chaired by The Rt. Hon Sir Stanley Burnton, to examine and respond to this crisis, focusing on the civil court and tribunals. Sir Stanley was joined by experts from across the legal profession, including academics, human rights lawyers, commercial solicitors and retired members of the judiciary. The Working Party’s report, Delivering Justice in an Age of Austerity, launched on April 23, offers timely recommendations in an effort to bring about the systemic change necessary for effective access to the justice system. At the heart of the proposals is a fundamental shift to using lower-level, yet qualified, trained and managed dispute resolution officers to deal with the bulk of cases in the civil courts and tribunals. It has been said that “there are three things that can be done in relation to self-representation by litigants: one is to get them lawyers, the second is to make them lawyers and the third is to change the system”. Prior to the austerity programme, the focus was on providing people with lawyers either through legal aid or through reforming the legal services market to bring down prices. Neither approach was entirely successful, but both were necessary owing to the formal and adversarial approach of courts and some tribunals, which requires litigants to know the law and procedure, identify key issues and the evidence needed, and extract the equivalent from the other side. Following the cuts to civil legal aid, the emphasis has shifted to making people lawyers, with resources being produced to help people to take cases forward themselves (see for example, the handbooks for litigants in person produced by the judiciary and by the Bar, available here and here). While making an important contribution to filling the advice deficit left in the wake of the cuts, such a strategy is necessarily limited in overcoming the institutional disadvantage faced by litigants in person. “9.13 … The first is that a shared concern about the unfairness of current practice and procedure vis a vis litigants in person can be properly addressed merely by taking steps on the periphery to ameliorate them. Access to justice is not provided by making practice and procedure only moderately unfair to litigants in person, rather than (as at present) seriously unfair to them. Both reports agree that a more inquisitorial approach could help maintain access to justice. While this view is increasingly echoed by key figures and in subsequent reports (see here and here), the contours of how a more investigative approach would work in practice have not yet been fully explored. The Working Party proposes a shift to using lower-level, yet expert, trained and managed dispute resolution officers (with a suggested title of ‘registrar’). Using an investigative approach, the registrar will get to the core issues in the case quickly, identifying the relevant law and procedure as well as the relevant (but often missing) pieces of evidence. Following proactive case management, the registrar will then have the option of using alternative dispute resolution processes – early neutral evaluation and mediation – to resolve disputes informally and quickly. Cases will be referred to a judge for resolution in the ordinary way only where no other method is likely to be effective or appropriate. While implementing these proposals would involve a radical change, the underlying premise of this approach is by no means novel. It draws on well-established and successful alternative dispute resolution models where individuals are not expected to have legal advice or representation, such as those employed by the Office of the Social Fund Commissioner, the Financial Ombudsman Service and the Traffic Penalty Tribunal. These offer useful examples of how caseworkers can be used to undertake preliminary tasks, including initial decision making, while the time of expensive senior decision makers is reserved for difficult or novel issues and for the task of oversight. Our proposals also build on (but go well beyond) the growing trend across the courts and tribunals of using qualified lawyers to perform certain “judicial” tasks. In a number of tribunal jurisdictions, the use of legally qualified and trained registrars to undertake case management, for example, has been extremely successful: speeding up case management, reducing the risk of adjournments at hearings and freeing up expensive judicial time for hearings (Senior President of Tribunals’ Annual Report (February 2014), p. 4). A similar approach is also increasingly being favoured by the courts. Most recently, a pilot scheme has been approved for legal advisers working at the County Court Money Claims Centre in Salford to undertake case management functions, subject to the ultimate supervision of a District Judge (as detailed in the Minutes of the Civil Procedure Rule Committee, Friday 6 February 2015). This follows similar trends in the Family Court, Administrative Court and Court of Appeal – all indicating an appetite for change and an appreciation of the need for alternatives from those within the system. The Working Party does not suggest that its proposed model will work for all types of disputes. Rather, the most suitable areas would be where there are high numbers of unrepresented parties; there are difficulties in extracting the necessary information before the final hearing; there are high numbers of successful appeals; and/or litigants struggle to understand the relevant law and comply with the required procedure. A number of chambers across the First-Tier Tribunal, small claims and fast track in the County Court, and some High Court divisions are likely to be suitable. Under this new model, litigants are not expected to know the law or legal procedure – an otherwise unavoidable stumbling block in a justice system developed on the assumption that people will be legally represented. Instead, the combination of investigation, direct communication, and the relatively informal resolution of the bulk of cases using registrars offers a system that is more efficient and likely to deliver significant long-term cost savings – all while increasing access to justice for ordinary court and tribunal users to higher levels than previously achieved. The Working Party also recommends an integrated online and telephone service to provide comprehensive legal information, advice and assistance, drawing on best practices from other jurisdictions. The service will play a dispute avoidance role, or, when litigation is necessary, will guide individuals through the reformed justice system. A comprehensive service of this kind can cater for the information needs of large numbers of people, while freeing up scarce resources to provide individualised support to those who need it most. Reform of the justice system on this scale is undoubtedly an enormous undertaking. It will require short-term investment from the government, long-term commitment from the judiciary and administration, and a considerable shift away from long-held assumptions amongst the broader legal profession. But there is no quick fix, and tinkering around the edges will not be sufficient. Without comprehensive reform, the system will break. It is in recognition of this urgency that the Working Party offers an innovative framework for extensive reform aimed at maximising access to justice, placing the user at the centre of the system. A full copy of the JUSTICE report is available here. The Working Party members included: The Rt. Hon Sir Stanley Burnton, Sir Geoffrey Bindman QC, Andrea Coomber, Carlos Dabezies, Amanda Finlay CBE, Professor Rosemary Hunter FAcSS, Sir Paul Jenkins KCB QC, Andrew Lidbetter, Andrew Lockley, Ruchi Parekh, Nigel Pleming QC, Lucy Scott-Moncrieff CBE and Professor Richard Susskind OBE. Their work was generously supported by Herbert Smith Freehills. 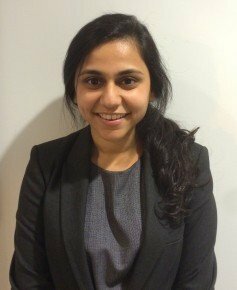 Ruchi Parekh is a Legal Officer at JUSTICE and served as a member of the Working Party. In terms of what happens in Civil Courts to litigants in person, the ‘elephant in the room’ is that the Judiciary carries out judicial acts that are made unlawful under Section 6(1) of the Human Rights Act 1998. They have since October 2000 denied the clear provisions in Section 7(1) (a) and (b) of the Human Rights Act 1998, in terms of their own and their fellow Judges breaches of the Act. They have been supported in this by the Royal Courts of Justice – High Court, Court of Appeal and, in effect, by The Supreme Court of the United Kingdom. This denial of access to justice, a fair hearing before an independent judge and an effective remedy is crucial to the matter of the provision of Legal Aid. However, to date this crucial issue has not been taken up by any Human Rights organisation or any Select Committee of the House of Commons. This entry was posted on April 27, 2015 by Constitutional Law Group in Uncategorized and tagged justice system, JUSTICE Working Party, Legal Aid.